is an offering to the urban public by its diverse youth. Industrial and Interior Design students taking part in an ENGAGE seminar led by Gregory Hurcomb (Architecture/Interior Design faculty) worked with the nonprofit KIDMob and local middle school students to build Adaptive Playscapes, their vision of a collaborative and interactive modular—and mobile—play space. 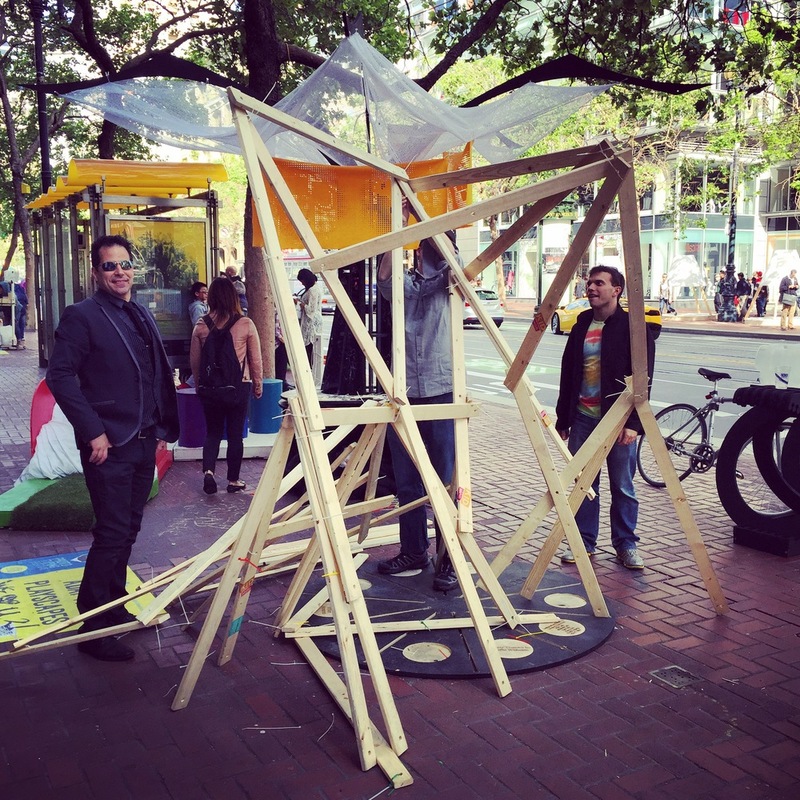 The result was a popular stop for the Market Street Prototyping festival visitors, who hopped, bounced, and balanced on the colorful structures. 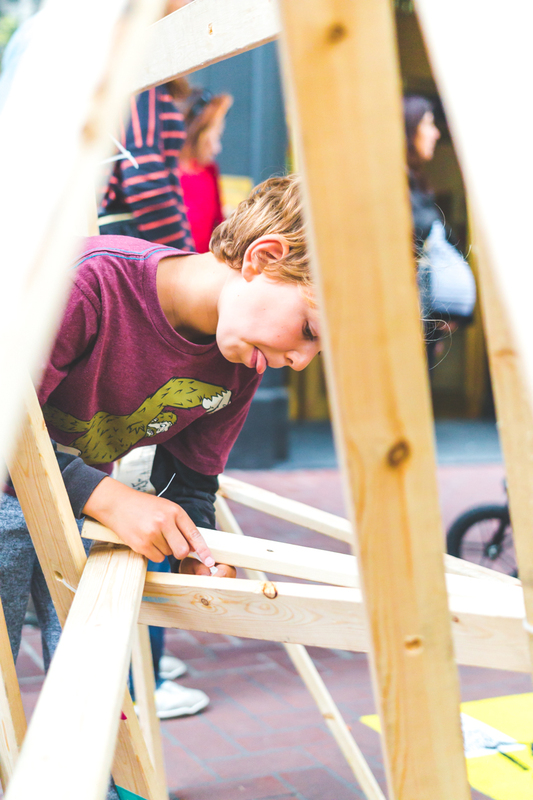 “Adaptive Playscapes” is an offering to the urban public by its diverse youth. Given its mobility and structure, it will flex between being highly intimate and highly public, depending on the urban context in which it is deployed. It seeks to inspire delight, exploration, and engagement. We envision that this offering will connect the urban public with the city in an unexpected way, that brings delight and calls attention to the adjacent urban landscape, and their scale within it. Kids and play are some of our most powerful tools for building community and bringing together diverse populations to imagine their neighborhoods in new ways. Time and time again in our work, we’ve seen this happen in places as far flung as Flint, MI, Camden, NJ, the Far Rockaways, NY, and even in Haiti. A cheerleader of possibility, Public Workshop creates uniquely engaging opportunities for youth and their communities to shape the design of their cities. We are redefining the way that youth participate as citizens and leaders in their communities, and addressing the most pressing challenges in the world around them. In the process, we are re-imagining education by reshaping how and where learning occurs. Public Workshop is nationally recognized for this work and has received particular acclaim for the playful neighborhood improvements that it has facilitated. San Francisco-based KIDmob is a fiscally sponsored organization that seeks to transform learning at the intersection of kids, community, and design. We love inviting kids to physically change their world, and giving them the tools, support, and questions they need to do it. We recognize the power in creating something that has a positive impact on one’s community; we have seen that this is especially powerful for kids who are at an age of determining their self identity and self worth. - They will refine their designs based on the feedback they received, fabricate the project, and present the final product at the market street prototyping festival, with an invitation to experience and enjoy their work, and give feedback on how it could be further improved, and whether it meets the initially-stated needs. 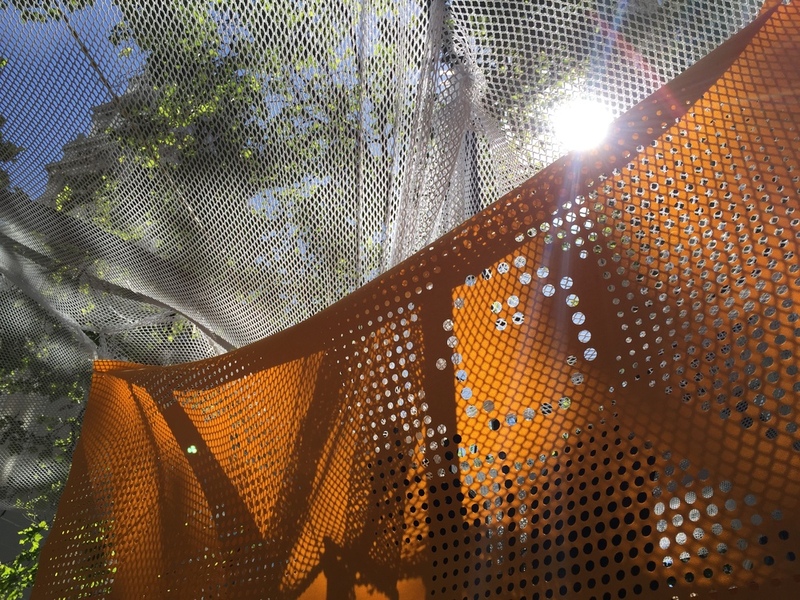 - We will invite attendees to participate in the continued prototyping and iteration of “Adaptive Playscapes”. The teenage artists who were originally involved in the project will be able to take on a leadership and teaching role with the involvement of the public. These interactions will be conducted in a couple of different ways. Targeted stakeholders will be invited to participate at these points, such as commuters, business owners, street vendors, tourists and kids.